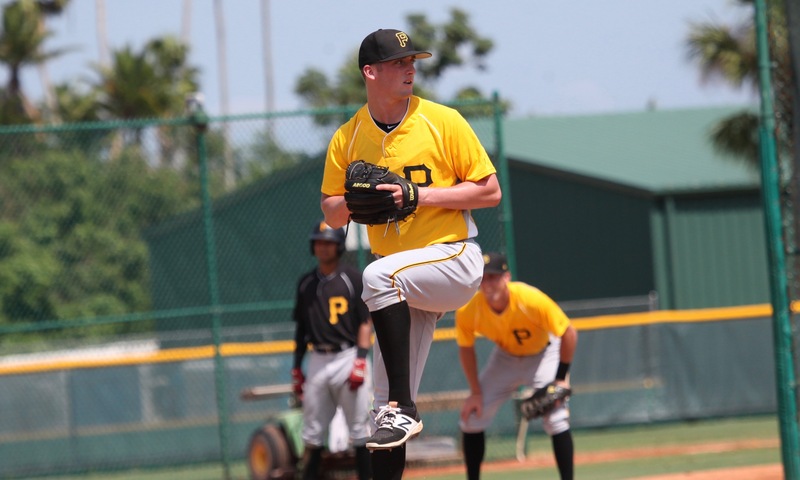 The Pirates drafted Bolton as a projectable high school pitcher from California. His fastball at the time of the draft sat at 91-93 MPH, touching 94, and he throws from a three-quarters arm slot. MLB Pipeline noted that he threw a tight slider and had a feel for a changeup, giving him a solid three-pitch mix already when drafted. Baseball America considered his slider to be an above average offering. He had a commitment to the University of Michigan and BA thought he’d be a tough sign, but the Pirates signed him two weeks after the draft for only a modest amount above the slot value. BA ranked him 414th overall among their top 500 draft talents. Bolton put up good numbers in his debut, particularly his walk rate. The usual course for the Pirates’ prep pitching draftees is to head to Bristol the year after they’re drafted, but Bolton impressed the Pirates so much in extended spring training that they sent him to West Virginia in late May. He started nine games before being shut down in mid-July with forearm soreness. The Pirates described the issue as minor at the time, but he didn’t return and ended up having a PRP injection. Bolton pitched very well, not giving up a run until his fourth start. He had strong numbers across the board, except for a minor issue with gopher balls, as he allowed six. He had a modest platoon split, allowing an OPS of .747 to left-handed batters and just .662 to right-handed. Bolton took a big step forward in 2018, although it’s unfortunate that he didn’t get in more innings. The PRP injection must have been successful, as he’ll open 2019 at Bradenton. June 13, 2017: Drafted by the Pittsburgh Pirates in the 6th round, 178th overall pick; signed on June 27.